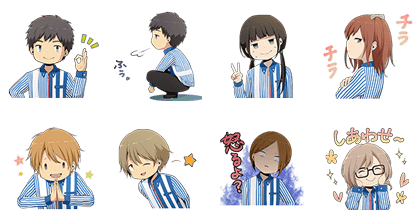 http://www.line-stickers.com/ – ReLIFE Working at a Convenience Store Line Sticker | These rare stickers featuring the ReLIFE characters working at a convenience store! 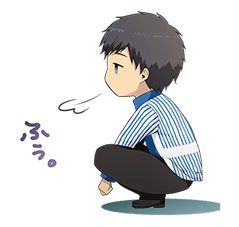 Purchase 2 ReLIFE volumes using a Lawson Loppi terminal, input the serial number, and get the set! Available till February 2, 2015. Copyright : ©YayoiSo/NHN PlayArt Corp.